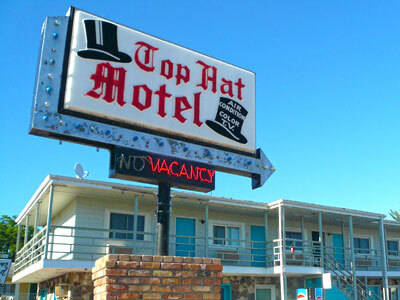 Top Hat Motel in Wisconsin Dells is right on River Road in the historic downtown dells River District. A smaller motel, the Top Hat is perfect for those wanting an uncomplicated experience of exploring the sights, sounds, and actions of Wisconsin Dells. Rooms are clean and comfortable and will be easy on the budget as well. The Top Hat Motel is just a short walk away from main attractions of the strip in downtown Wisconsin Dells, including restaurants, shopping, attractions and the scenic River Walk along the beautiful Wisconsin River.